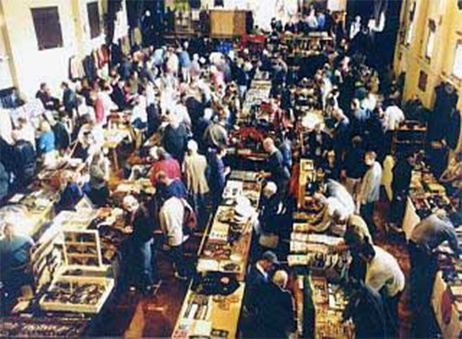 GHQ Militaria Fairs are quality collector and enthusiasts militaria / arms fairs held indoors held on Sundays. Farnham fairs are open from 10:00am to 2:00pm, entrance fee will be £4.00 per adult at Farnham, children under fourteen may be admitted free as long as they are accompanied by a paying adult. The Maltings in Farnham has catering facilities serving teas, coffees and hot and cold food. There is ample and free parking at The Maltings in Farnham. Farnham fairs are open from 10:00am to 2:00pm. Entrance fee will be £4.00 per adult at Farnham, children under fourteen may be admitted free as long as they are accompanied by a paying adult. If you would like to register to become one of our many hundreds of stall holders that attend our fairs, simply click on Booking Form and print and fill in the Registration Form and return it to us. It is as simple as that. We will have a Stall Holder identification number and badge ready for you at your first fair. Below are some of our affiliated militaria traders and fairs. If you are interested in an advertising space, please see the Traders' page for more information. 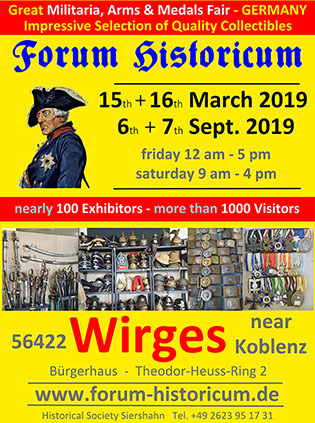 Please click on the banners to find out more about each of the traders / militaria fairs.